A new unplayed violin remember. Sweet tone, easy to play, volume there waiting to be developed and in two days it has doubled its sweetness, sonority and power. All I can say is that the man (Petko Stoinov) is a genius, he must have been touched by an angel. You made a violin in 2004 with a beautiful brown finish. It is sounding great and serving my needs as a violinist well. Thank you for making such a fine instrument. I hope to grow musically with it as we both get better with age. I just wanted you to know how much I enjoy playing the violin you took so much time and care to create. I am happy you have a website for me to express my appreciation for your making of such a fine instrument. I love my violin! It is both beautiful to look at and hear played. It has great even tone from the lowest to the highest notes. The more I play, the more my technique improves and I get more out of the instrument. Beautiful sound. It seems to sing. A very responsive instrument that will only improve over time. 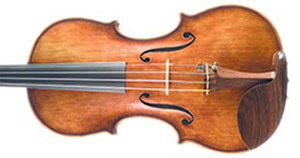 The violin is excellent, I’m very satisfied with the nice and potent sound. All days when I arrive at home I play more than 1,30 hours. I have played your violin today and I think it sounds lovely. I think this is the best violin you have sent us. Thank-you and bravo! It is clear and loud and quite beautiful for a new instrument. It seems a little lighter than the first one you sent and that is good as it is still strong and yet more resonant. I am extremely happy with the voice and responsiveness of this violin, that I have been fortunate to play for over four years. It is by far the most refined and sonorous instrument I have had the pleasure of playing: it is a demanding taskmaster, but so rewarding! It has elevated my performance, and helps me continue to mature as a violinist. I bought your most beautiful violin on December, 2011. It was a Christmas present for myself…and I love playing it. Thank you for making such a beautiful instrument…….I am so proud of her and I practice everyday. I have had many comments on my violin on how beautiful she is. “It’s an easy instrument to play. The response is great. The bowing to achieve a great sound requires less pressure on the strings to achieve a very noble sound than other violins. The Stoinov violin sounds better every time I play it. This guy is a well kept secret. His violins are in the 12-15000 class easily and get better with time. “The finish of this violin features a gorgeous warm golden color of a stunning transparency and incredible optical depth. This instrument has a remarkably lush, full sound with remarkable volume and clear projection.